Ridgefield is less than 15 miles from Long Island Sound, and a good number of residents in the 18th and 19th Centuries became sailors. It was a dangerous profession, and some lost their lives at it. 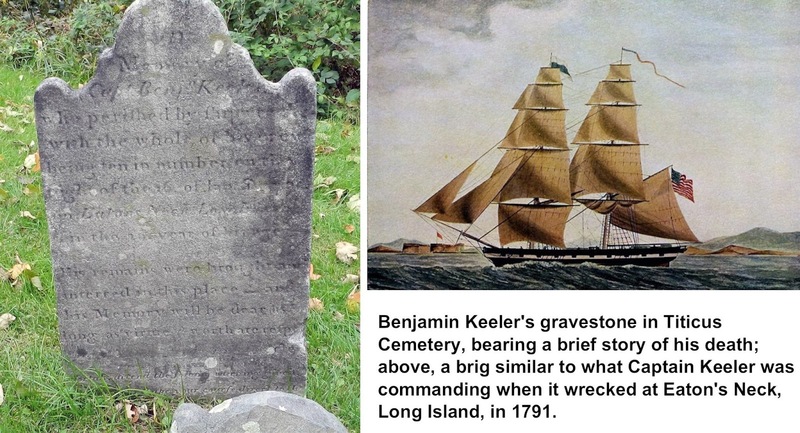 One of the first and worst maritime disasters involving a Ridgefield native occurred on Jan. 16, 1791, when the brig Sally, captained by Benjamin Keeler of Ridgefield, was wrecked in a storm off Eaton’s Neck, Long Island, right across the sound from Norwalk. He and his entire crew of 10 died. An account of the disaster appeared in newspapers along the East Coast, though the news took a while to travel. On March 3, 1791, six weeks after the wreck, The Maryland Gazette in Annapolis carried the story. “The shore presented a mournful and distressing sight” with parts of the vessel, its cargo and the bodies of the crew floating in the water, the newspaper said. “It appears that Captain Keeler, apprehending the destruction which awaited them, packed his clothes up and put them, with his papers respecting the voyage, his watch, medal, and some other things, into his [trunk], locked it, and fastened his keys to the hinge,” The Gazette said. Neck, scene of many shipwrecks. 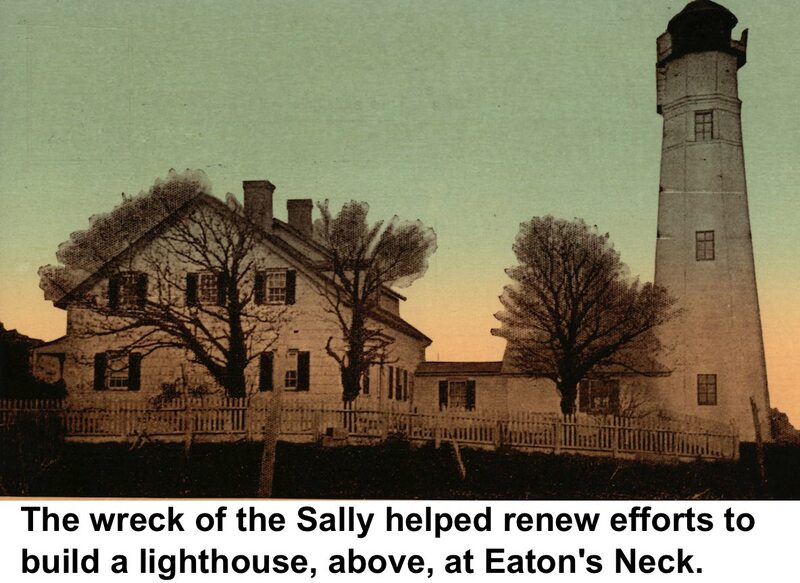 Five years later, a bill finally passed in Congress to erect the lighthouse and by 1799 Eaton’s Neck Light was burning. It still is today. Capt. Benjamin Keeler was the son of Benjamin and Mary Smith Keeler, born about 1762. He served in the Revolutionary War in 1779 in Capt. David Olmsted’s company. He would have been only 17 years old. He is buried in the old Titicus Cemetery. His stone says, as best as we can translate: "In memory of Capt. Benjn. Keeler, who perished by [???] 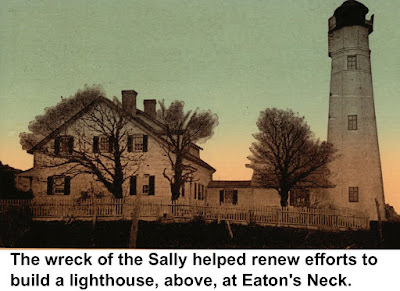 with the whole of his crew, being ten in number, on the night of the 16 of Jan. 1791, on Eaton's Neck, Long Island, in the 29th year of his age. His remains were brought and interred in this place, and his memory will be dear as long as virtue and worth are respected…."